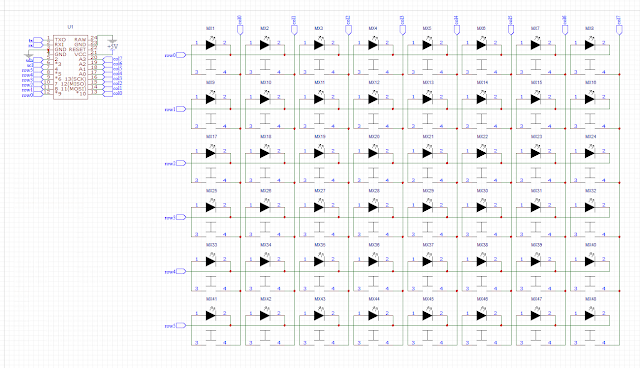 The 6x8 matrix uses the fewest i/o pins for the 48 keys. There are 4 pins left over on the Pro Micro. The keycaps are from PMK grab bags. The DCS keycaps are all Row 1 ABS. The DSA keycaps are all PBT. The keymap is the same as I use on my Gnap. It is definitely easier to type on than the 16mm 30% since you don't have hit layer modifiers as often, which is more difficult to do with the smaller keys. I have made a split half IOTA.